Lucia Pica likes loves red. So advanced is her appreciation of the colour, that her first make-up collection for Chanel after becoming their global creative director back in 2014 is ALL RED. Seriously – it’s a bloody riot from the deep, subtle injection of burgundy in the Subversif mascara to the surprisingly flattering terracotta eyeshadow in the quad. I had a flirt with the whole collection (rather aptly its official name is Le Rouge Collection No.1), and decided that there is one product I couldn’t do without: the Nail Gloss in Rouge Radical, which is sheer (ha) heaven, marrying the brightness of fiery tomato-red with the gloss of a gel nail polish. 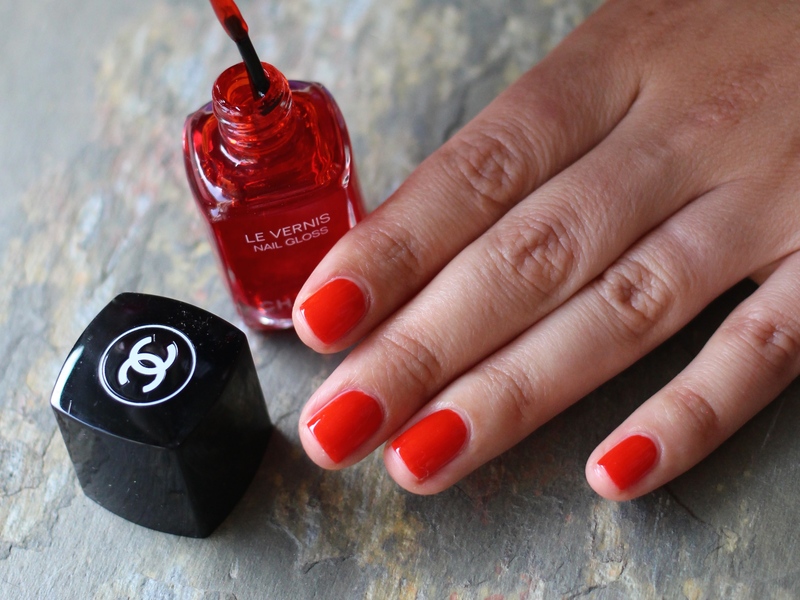 Rather unlike other sheer, glossy formulas, this one packs a punch, too – the above nails have two coats on, which I felt was more than enough to get the intensity of red. If you’d like to know about length of wear, I’ll refer you to this post, for this gloss formula is similarly hardy. 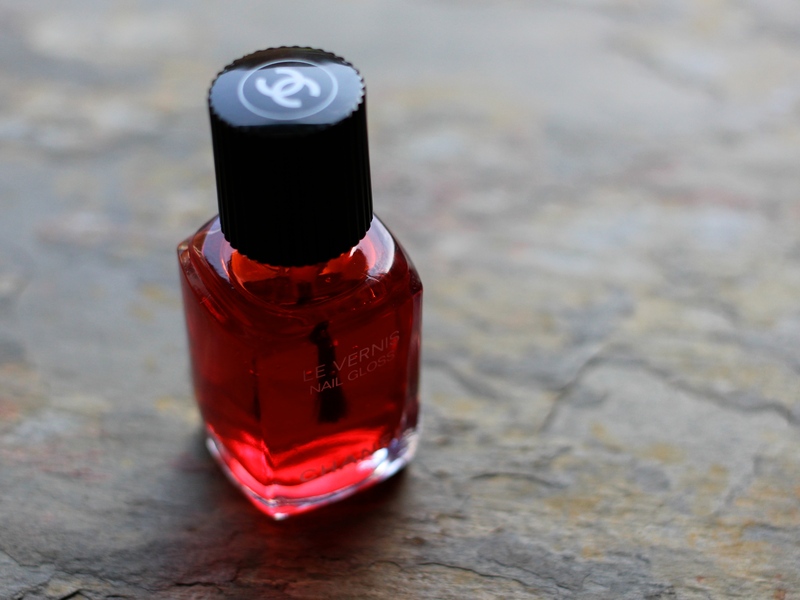 One note before applying: while two coats will give you the desired pop of colour + juiciness, the gloss isn’t the speediest of driers, taking a full episode of Poirot (ML.com HQ is a happening place) to be dry enough to use my hands for anything more taxing than drinking tea. ooooh! it’s been ages since a nail colour tempted me like that. i want it on my sad feet now! It’s so nice isn’t it?! And doesn’t start to flake after day one ??????? ?